B.G. B.g. 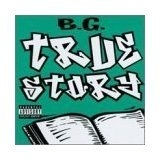 'z True Story Thrill B'g We haven't lyrics of this song. Please, add	these lyrics for other users. Use "Correct". Thanks to you. by B.B. King on album B.B.